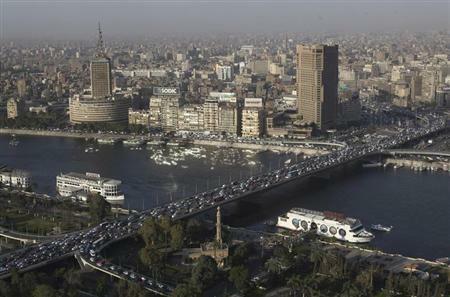 The predominant source of water in Egypt, the Nile has been a source of constant tension and conflict in North Africa. Natural fertility is actually the Nile's biggest legacy for Egyptians. A fisherman fishes for food on the Nile. Credit: Cam McGrath/IPS. Rome: Running through 11 countries for 6,853 kilometres, the Nile is a lifeline for nearly half a billion people. But the river itself has been a source of tension and even conflict for countries and territories that lie along it and there have been rumours of “possible war for the Nile” for years now. While to date there has been no outbreak of irreversible tension, experts say that because of increasing changes in the climate a shared agreement needs to be reached on the redistribution of water soon. “Right now I do not think there is a concrete and imminent risk of conflict between Egypt, Sudan and Ethiopia, given the internal difficulties and the unstable nearby area [Libya] of the first, the recent secession suffered by the second and the peace agreement achieved by the third with Eritrea,” Maurizio Simoncelli, vice president of the International Research Institute Archivio Disarmo, a think tank based in Rome, told IPS. 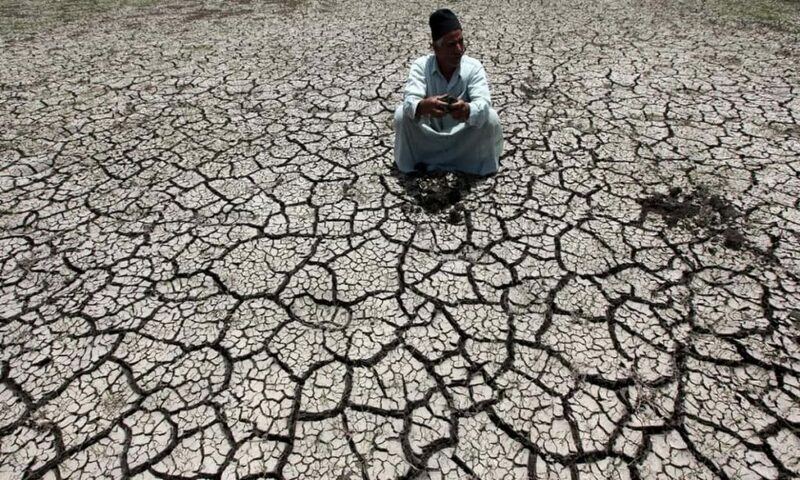 “However, it is certain that if a shared agreement is not reached on the redistribution of water in a situation of increasing climatic changes, those areas remain at great risk,” he said. All the cities that run along the river exist only because of these waters. For Egypt, this is particularly true: if the Nile wasn’t there, it would be just another part of the Sahara desert. Egypt has tried to be master of the river for centuries, seeking to ensure exclusive control over its use. Nevertheless, today upstream countries are challenging this dominance, pushing for a greater share of the waters. Egypt and Sudan still regard two treaties from 1929 and 1959 as technically binding, while African upstream nations – after gaining independence – started to challenge these agreements, signed when they were under colonial rule. The 1959 treaty allocates 75% of the river’s waters to Egypt, leaving the remainder to Sudan. Egypt has always justified this hegemonic position on the basis of geographic motivations and economic development, as it is an arid country that could not survive without the Nile’s waters, while upstream countries receive enough rainfall to develop pluvial agriculture without resorting to irrigation. “From the Egyptian point of view, it is right [to hold this hegemonic position] because it is true, Cairo has no alternative water resources. Without the Nile, Egypt would die,” Matteo Colombo, associate research fellow in the MENA Programme at the Italian Institute for International Political Studies (ISPI) told IPS. Egypt – according to Colombo – should therefore aim to open regional forums focusing on cooperation in a broad sense. Cooperation among countries sharing this watercourse is key. For example, Ethiopia could need more water to produce more electricity, which could in turn diminish the amount of flow towards Cairo. Indeed, Ethiopia’s Grand Ethiopian Renaissance Dam, which is currently under construction, will be the biggest dam on the African continent and could diminish the amount of water flowing to Egypt. Water is not the only gift of this river for Egypt. Each year, rainfall in Ethiopia causes the Nile to flood its banks in Egypt. When the Nile flood recedes, the silt – a sediment rich in nutrients and minerals and carried by the river – remains behind, fertilising the soil and creating arable land. Natural fertility is actually the Nile’s biggest legacy for Egyptians. “The problem for Egypt is that, from a geographical point of view, it does not hold the knife on the side of the handle,” warns Colombo. The Nile Basin Initiative (NBI), created in 1999 with the aim to “take care of and jointly use the shared Nile Basin water and related resources”, could be an example of regional multilateralism to resolve disputes but it remains relegated to discussions about water management. Institutionally, the NBI is not a commission. It is “in transition”, awaiting an agreement on Nile water usage, so it has no legal standing beyond its headquarters agreement with Uganda, where the secretariat is settled. Due to differences that have not yet been resolved, the NBI has focused on technical, relatively apolitical projects. This ends up weakening the organisation since Egypt sees technical and political tracks as inseparable. Therefore, Cairo suspended its participation in most NBI activities, effectively depleting the organisation’s political weight. If regional agreements on the management of the Nile’s waters seem difficult, what is certain is that local populations’ living along the river have always been impacted by environmental changes. The Nubian population are among these affected people. The Nubians, an ethnic group originating in southern Egypt and northern Sudan, have lived along the Nile for thousands of years. In 1899, during the construction of the Aswan Low Dam, they were forced to move and relocate to the west bank of the Nile in Aswan. During the construction of the Aswan High Dam in the 1960s, over 120,000 Nubians were forced to move for a second time. Their new home proved far from satisfactory: not a single resettlement village was by the river. And to date, the socio-economic and political conditions of the Nubians have not appeared to have improved. “I think we are passing through one of the worst moments for us Nubians. Every time we tried to claim some rights in the last few years, the government did not want to listen to us and many of our activists were recently arrested,” Mohamed Azmy, president of the General Nubian Union, a movement that actively promotes the right to return of the Nubian community to their ancestral land, told IPS. Lorri Pottinger of International Rivers told Al Jazeera that Africa’s large dams have not reversed poverty, or dramatically increased electricity rates, or even improved water supply for people living near them. “What they have done is help create a small industrial economy that tends to be companies from Europe and elsewhere. And so these benefits are really, really concentrated in a very small elite,” she had said. The reasons why Egypt faces water scarcity are numerous but the exponential increase in population certainly accelerates the critical situation. The UN estimates that unless the current fertility rate of 3.47 changes by 2030, Egypt’s population is expected to grow from the current 97 million to 128 million. This demographic growth has grave implications as it comes at a time of unprecedented challenges in the climate which in turn has worrisome implications for loss of arable land, rising sea levels and depletion of scarce water resources. Moreover, the demographic increase is having grave consequences on the entire economic system, as there is insufficient infrastructure and not enough jobs for the increasing young population. Birth control policies could be and should be part of the solution to overcome these challenges. The government has recently launched a campaign named ‘Kefaya etnen’ (‘Two is enough’), through which it is trying to raise the awareness on controlling birth rates and having no more than two children per family. “I think this is a great initiative from the Egyptian government but it definitely needs to permeate the society, and this will not be easy,” said Colombo. Egypt needs to curb its population and to turn its youth into an asset for its economy, otherwise the waters of the Nile could be insufficient. Indeed, the importance of the Nile is felt in the blood of all Egyptians. “Walking along the Nile for me is what makes me relaxed and vent when I need it, in the chaos of the city,” Tarek, a resident of Cairo, tells IPS. And many Egyptians hope that this gift will be with them forever, because it is not just about survival, but about the essence itself of being part of these lands. This article was originally published on IPS. Read the original article.